At Easirent we have a wide range of Cars available from small cars to large family cars to hire so if your planning a visit to Preston then book your Preston car hire with Easirent Preston. 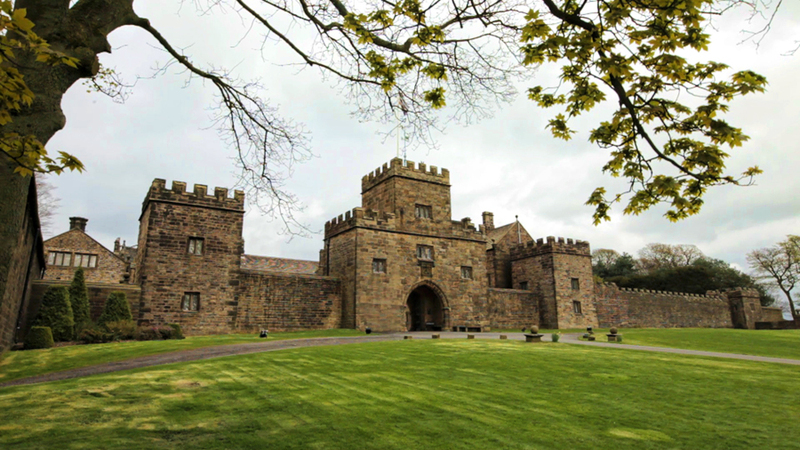 Hoghton Tower is a Grade 1 listed Manor house located close to the village of Hoghton. The house has a magnificent view of the Lake district and north Wales being positioned 650ft above sea level. The present house dates from around 1560 and takes its name from the de Hoghton family who are descended directly from Harvey de Walter, one of the companions of William the Conqueror. The house and gardens are open to the public from May until October and throughout the year is host to a variety of events. It is a delight to walk round the stunning gardens which are home to the Great Barn which dates back to 1962 and is also a grade 1 listed building, constructed in sandstone with a slate roof. The coach house and stables are to the Northwest of the house. With underground passages, ramparts and the doll house collection there is something for the whole family to enjoy. The house today can be rented out as a venue for wedding receptions, Corporate events, Private functions and celebrations. You can also stay over at the tower which occupies the former garrisons with spectacular views of the landmark driveway and Lancashire countryside. Please do not hesitate to call Easirent Preston on 01772 886 888 to book a car of discuss your requirements.